Weekly Photo Challenge: Idling–Unsettling or Creepy? This is my second submission for this week’s “Creepy” challenge. My photo subject is not really “creepy”, but I find it unsettling– it shows one of my pet peeves. What irks me is seeing line-ups of cars idling with engines running when it is avoidable. 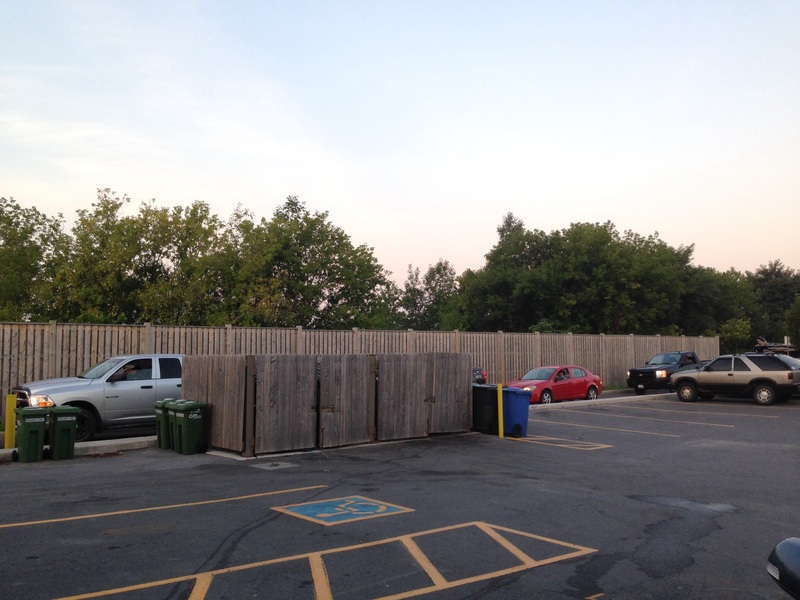 Yesterday morning, around 6:30 AM, I stopped at a coffee shop and there they were–3 or 4 cars waiting in line. 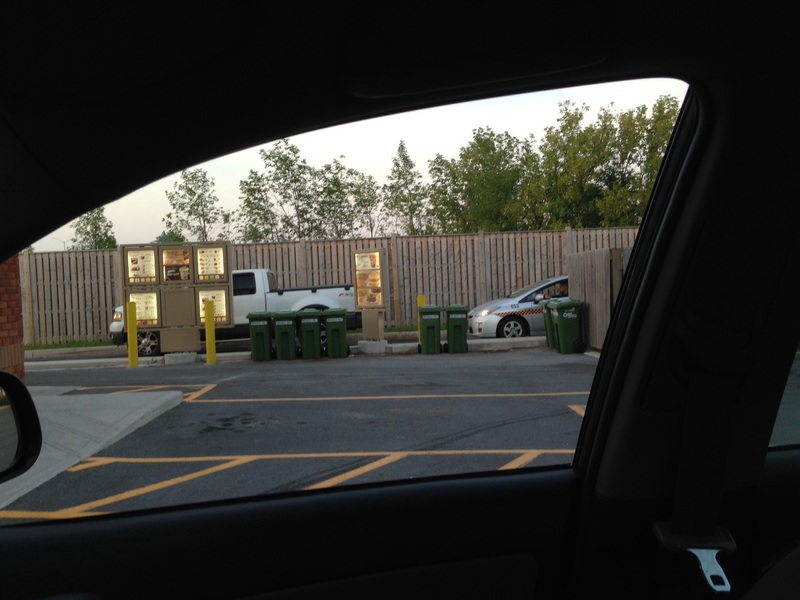 Sometimes I wish for the total banning of drive throughs but then I realize–in a moment of generosity–that maybe there is a place for them. For example, if I have my dogs with me, I can’t leave them in a hot car, nor can I take them into a restaurant. Similarly, a person with young children on board might benefit from the convenience of not having to unbuckle, carry, and supervise children. Running an engine releases CO2 into the atmosphere, promoting global warming. A running car engine releases pollutants into the air. A running car engine burns expensive fuel. When idling exceeds 60 seconds, the cost of fuel is greater than potential wear and tear on the starter and battery from stopping and starting — National Resources Canada. “In Europe, the recommended guidelines for turning engines off are 10 seconds in Italy and France, 20 seconds in Austria, 40 seconds in Germany and 60 seconds in the Netherlands. In the United States, the Environmental Protection Agency’s Smartway and Drive Wise programs both recommend turning the engine off if you’re stopped for more than 30 seconds.” National Resources Canada, 2013. At the Daily Post you will find more Responses to the “Creepy” challenge.